There are two types of bartenders. Bartenders who steal and Bartenders who do not steal. As a bar owner, I consider anything I’m unaware of as theft. 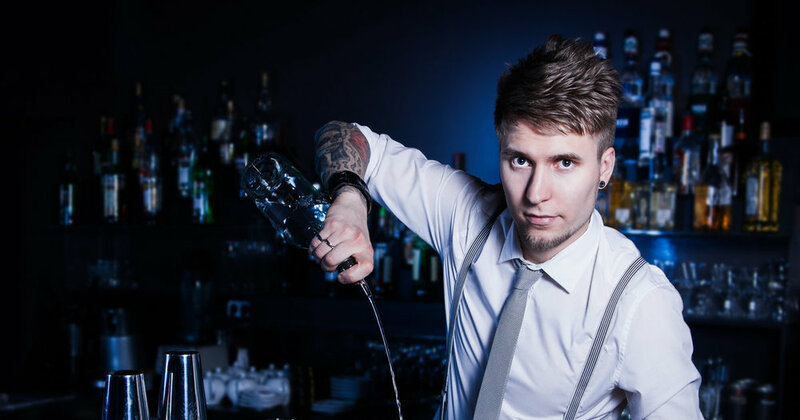 Bartender theft runs rampant across every sector of the hospitality industry. Every Casino, Resort, Restaurant, and Nightclub have two things in common. They all sell alcohol and their bartenders are stealing. Short ringing occurs when bartenders pour call liquor, collect call payment then ring well and load their register or place the difference in their tip jar. No sale ringing occurs when bartenders serve a drink and collect cash payment then ring No Sale for $0 to open their cash drawer. Once open, the bartender loads their cash register. Bootlegging occurs when bartenders bring their own liquor bottles to work then pour, sell, and collect cash payment. After collecting payment, they load their register or place payment in the tip jar. Giving away free drinks is the most common form of theft. Short pouring occurs when Bartenders purposefully pour less liquor than a cocktail recipe requires. It's an attempt to offset inventory or cover up giving away free drinks. Service well collusion occurs when Bartenders and Servers work together to manipulate drink tickets. Bartenders who steal prepare cocktails for Server distribution. Servers who steal collect cash payments to be split with the Bartender. Undercharging occurs when Bartenders pour premium liquor but charge well pricing in exchange for a large gratuity. Short changing occurs when Bartenders collect cash then purposefully short-change a customer then load their register or place the difference in the tip jar. Bartenders alter credit card receipts by adjusting tips, adding tips or forging a customer signature. Altering credit card receipts to manipulate a gratuity is the leading cause of credit card chargebacks. Bartenders who steal load their registers by collecting cash payment then open their cash register by No Sale to deposit cash payment inside the register. Loading and unloading registers is theft in plain sight. The most obvious loading technique is marking deposits with paperclips. For example, a Bartender loading $10 will place a paperclip inside the cash register to mark the load. Moving forward, every paperclip equals, inside the register, equals $10. At the end of their shift, the bartender totals the number of paperclips then multiplies by 10 to calculate the amount of money to unload. My name is Preston Rideout. I am Founder and President of Cocktail Currency Bar Consulting located in Memphis, Tennessee. I believe their are two types of Bartenders. Bartenders who steal and Bartenders who do not steal. Take a moment to read the Top 10 Ways Bartenders Steal then check out Cocktail Currency on Amazon. It's a book about bar math that deconstructs beverage formulas by examining the relationship between liquor cost, cocktail pricing and profitability.